My Mom and I are heading into New York City for the day to walk around, eat some amazing food, and see the Rockettes New York Spectacular. It is going to be hot, hot, hot in the city today and it took me two minutes to decide what to wear. 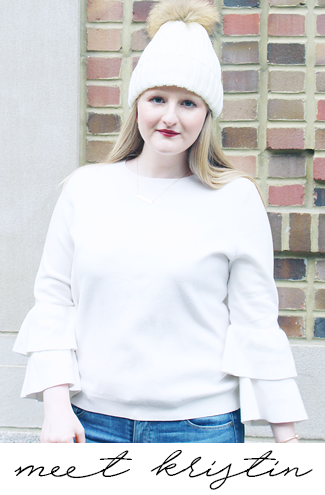 Since it took no time to pick out my outfit it made me realize that there are a few pieces that are perfect to wear when you're taking a day trip to NYC, or really any other city, in the summertime (I work a similar look in Baltimore!). Below I'm breaking down my summer city day trip fashion essentials for you. Romper- A romper is the perfect thing to wear for a day trip; it's super easy to throw on and you only have to deal with one piece all day. Not to mention it's cool and breezy for warm summer days. You'll be really comfortable, but look fashionable and on trend at the same time. Sunglasses- Sunglasses are an absolute must to shield your eyes from the sun. The sun not only damages our skin, but our eyes too so it's important to protect them. Large sunnies, like these, will help to keep the sun off your eyes and skin around your eyes too. Converse- I have this pair of slip on Converse and they are incredibly comfortable. I can walk around in these all day without any aches, pains, or blisters, which is important when exploring a city. The other great thing about these is that they keep your feet covered and clean! Studs- Studs are an easy accessory to wear when you're exploring. They're lightweight and you'll forget you're even wearing them while you're out and about! Just put together this simple look and you're fashionable and ready for your day of fun! What do you love to wear for a day trip? Cute picks! Love the romper!